If a trip to the orchard is in your near future I have found 7 of the yummiest ways to use the bounty of fruit you will bring home. If the old saying "An Apple a Day" is true you will be in good shape after trying out these recipes for a week of yummy treats. 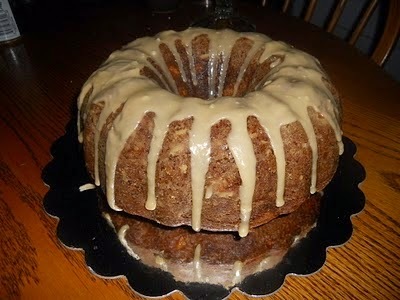 While this may look like an ordinary bundt cake, your tastebuds will quickly inform you otherwise after they meet the hidden cheese cake layer of this Caramel Glazed Apple Bundt Cake. 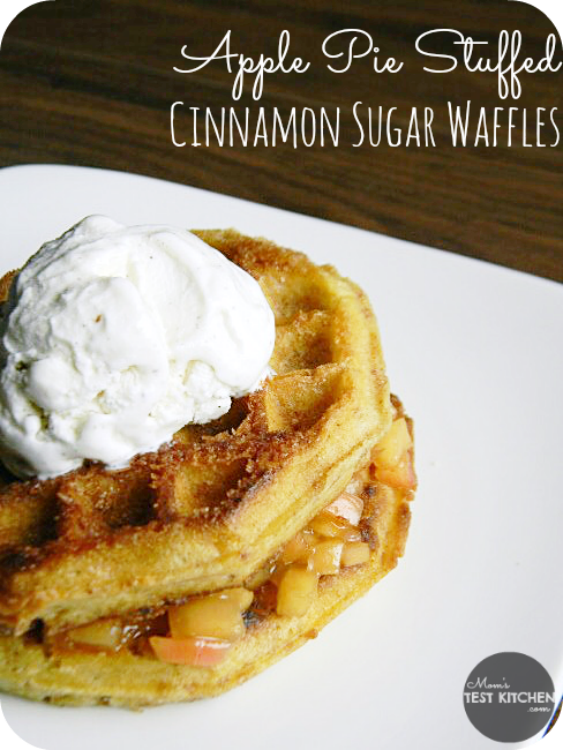 Apple Pie Stuffed Cinnamon Sugar Waffles... I am sorry, what were we talking about?! 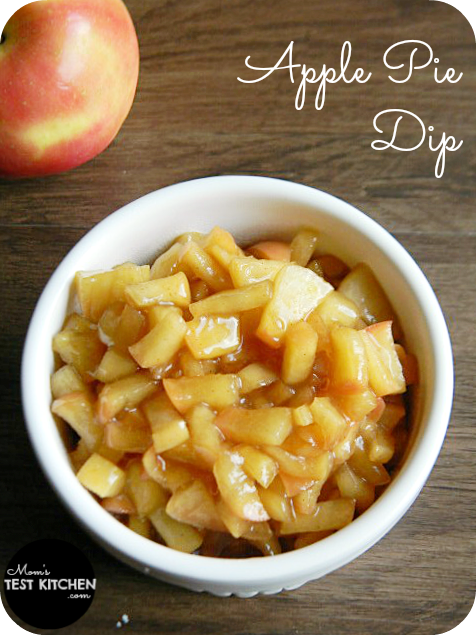 For a sweet alternative to your average chips and dip turn to Apple Pie Dip for addictive snacking. 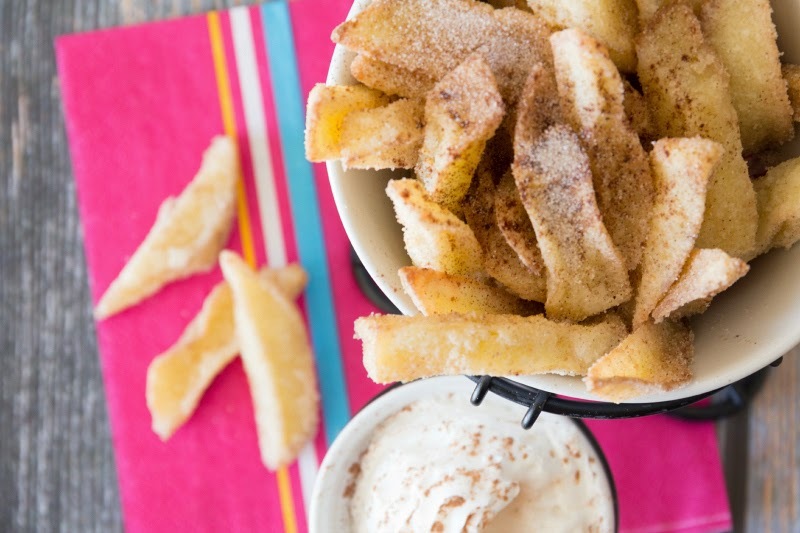 Apple Fries? Oh my goodness. This I must try! 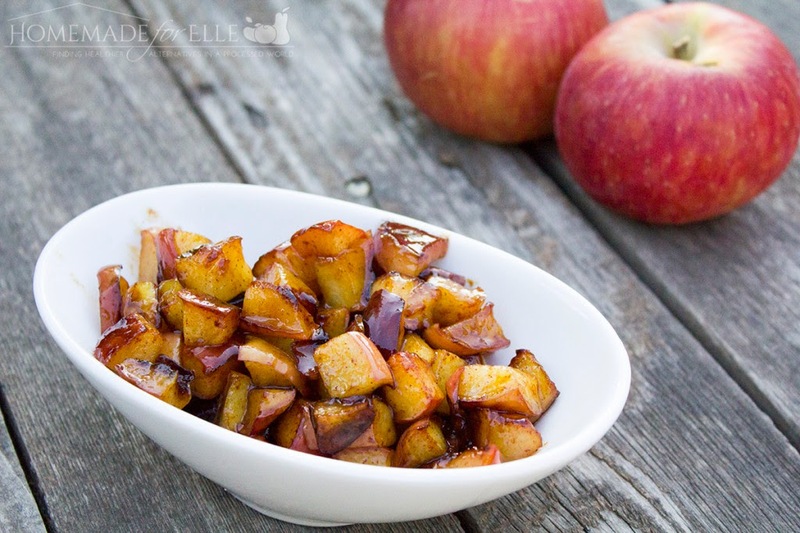 Fried Apples with honey sound like a yummy way to eat an apple a day. 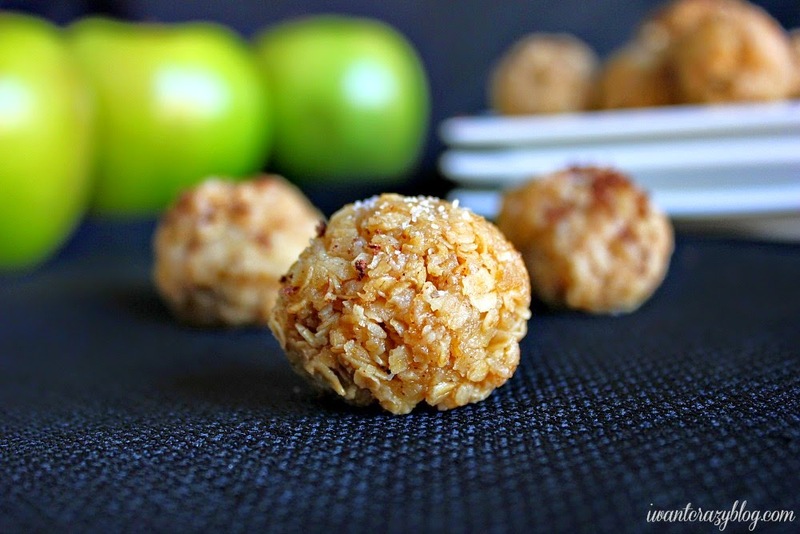 Apple Crisp No Bake Cookies sound divine. I am a sucker for apple crisp and anything that requires no baking. What is your favorite Apple Dessert Recipe? Who says Apples are only for desserts or eating as is? 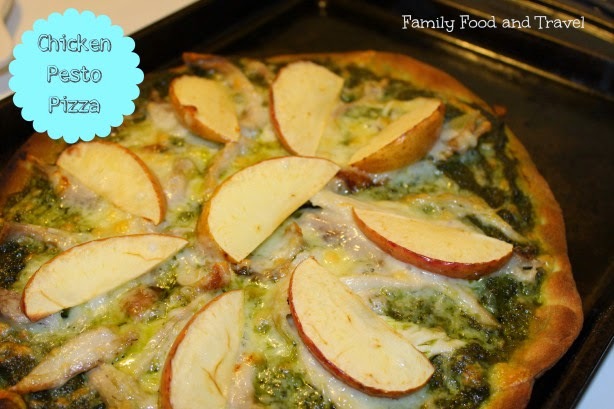 I found 7 ways you can incorporate an apple a day into your dinner plans for tasty meals that are sure to please the entire family. 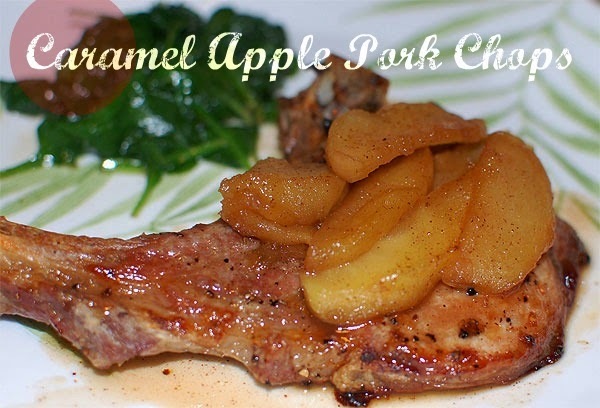 A fall dinner has never been more flavorful than it is when you serve Caramel Apple Pork Chops. 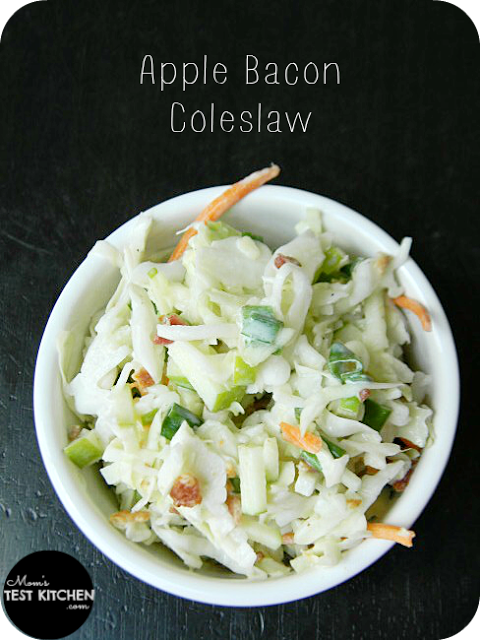 Apple Bacon Coleslaw makes a drool worthy side to compliment a variety of entrees. Slow Cooker Apple Pork Loin offers many delicious samples of fall flavors with minimal efforts on your part. 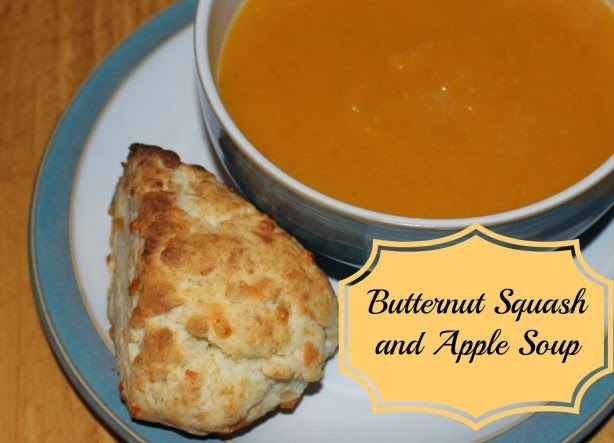 Butternut Squash + Apple Soup makes a great meal on a blustery fall day. Ideal for a quick on the go nosh, or just a yummy way to eat a cool dinner. 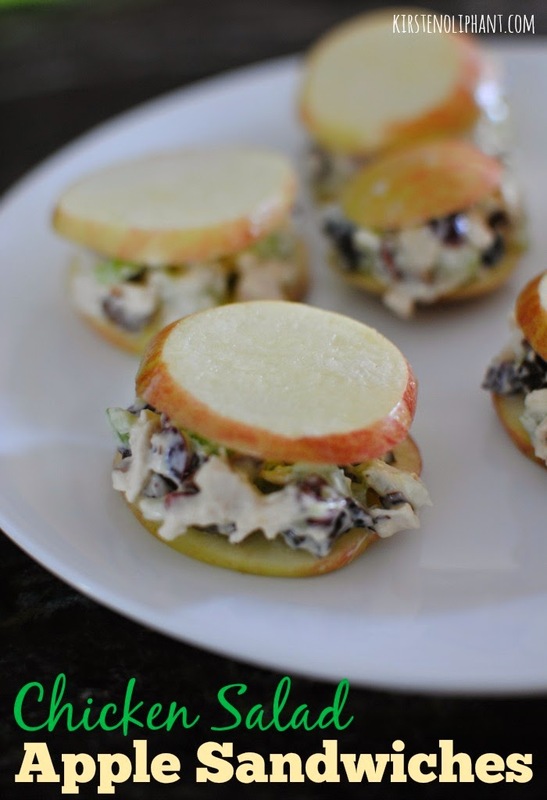 These Chicken Salad Apple Sandwiches are perfectly portable, yummy and healthy. This Chicken Pesto Pizza looks yummy! I love the topping of sliced apples for a completely unique flavor. Apple Cheese Soup sounds fantastic. 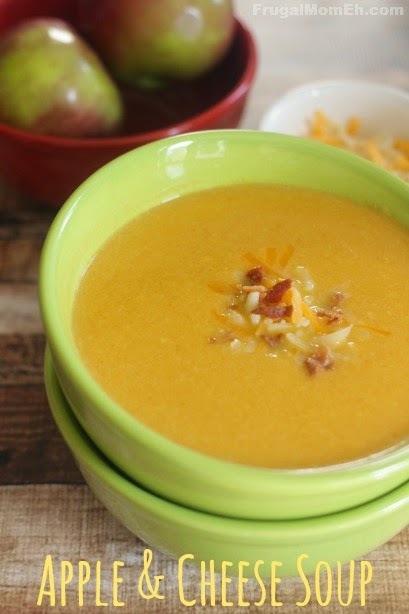 I love apples, cheese and soup so I know there is no going wrong with this recipe. What dishes do you prepare for dinner that contain apples?